I have made this recipe many times for Thanksgiving morning, Christmas morning, Easter brunch, kid sleepovers, family gatherings and more. It’s the kind of recipe that everyone enjoys so much, and it’s a very popular recipe here on Cooking at home site! Since my Mom has to eat gluten-free these days, I was super happy to find that I could make this breakfast casserole completely gluten free. I use Ore-Ida shredded hash browns for this recipe if I need to make it gluten-free. If you don’t need to worry about that, just use whatever hash browns you can find! The recipe calls for Monterey Jack cheese with jalapeno or cheddar… choose whatever you prefer, but you can also sub in Swiss if you enjoy that with eggs too! 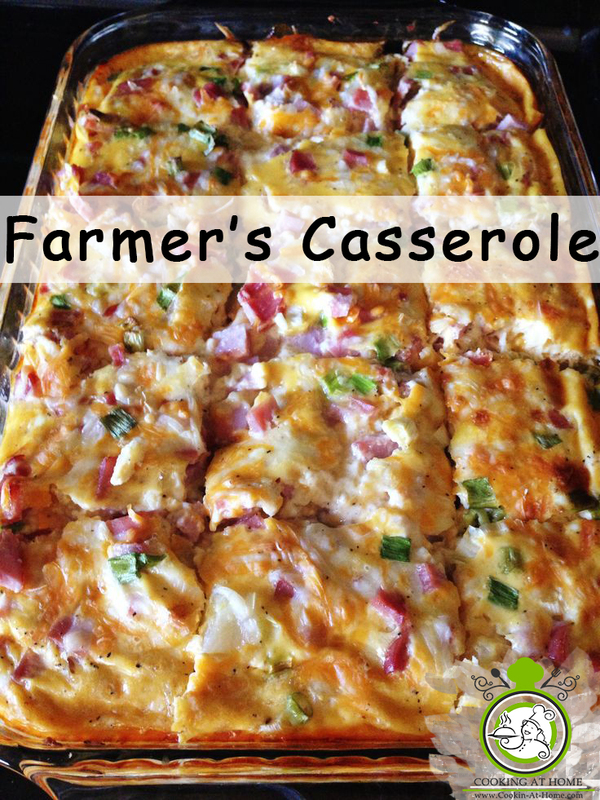 Tip: Please use evaporated milk for this recipe, not regular milk. 1- Preheat oven to 350 degrees F (175 degrees C). Grease a 2 quart baking dish. 2- Arrange hash brown potatoes evenly in the bottom of the prepared dish. Sprinkle with pepperjack cheese, ham, and green onions. 3- In a medium bowl, mix the eggs, evaporated milk, pepper, and salt. Pour the egg mixture over the potato mixture in the dish. The dish may be covered and refrigerated at this point for several hours or overnight. 4- Bake for 40 to 45 minutes (or 55 to 60 minutes if made ahead and chilled) in the preheated oven, or until a knife inserted in the center comes out clean. Let stand 5 minutes before serving. I find the recipes incredibly easy to follow,and they taste great. !